INDUSTRY.co.id - Jakarta, the Government is still the oldest brewing rules of incentives low-emission vehicle (LCEV). In the rules that are still being discussed by the Ministry of Industry with the Ministry of Finance will provide incentives for four types of low carbon emissions vehicles. In the discussion of the rules, the plan incentives will be given to hybrid vehicles, plug-in hybrid, electric, and hydrogen-fueled vehicles. 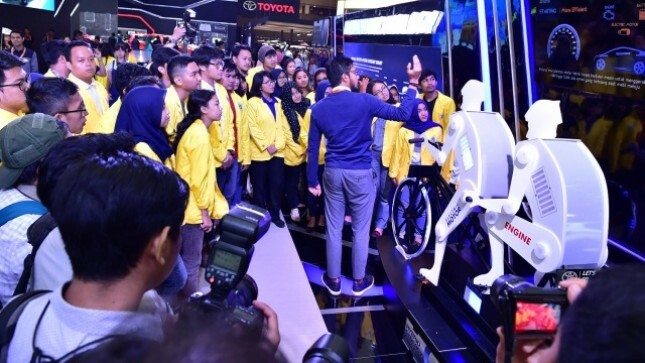 Director of Maritime Industry, Transportation Equipment and Defense Equipment Ministry of Industry, Putu Juli Ardika said, hydrogen-powered and electric vehicles will be given higher incentives. The reason, the two vehicles produce lower emissions than hybrids and plug-in hybrid. Although, he considered hydrogen-powered electric vehicles will still be gradually operated in Indonesia. "If we jump directly, we will need a big infrastructure, we need a big investment, well maybe that later, but before that there might be hybrid, plug-in hybrid," Putu said in Jakarta (24/1/2018). July said the rules on incentives to be given to the four types of low carbon emission vehicles are still difficult to discuss between the Ministry of Industry and the Ministry of Finance, especially the Fiscal Policy Agency (BKF). Later rules on the granting of incentives will be issued in the form of Regulation of the Minister of Finance. He explained the government should make adjustments to the target of reducing carbon emissions in Indonesia. This is in line with the government's commitment to reduce carbon emissions at the World Climate Change Summit (UNFCCC COP21) Paris. In the Paris (Paris Agreement) commitment, the government agreed to reduce carbon emissions by 20% by 29% by own effort. Meanwhile, the government agreed to reduce carbon emissions by 41% with cooperation and assistance from abroad. "We need to make adjustments to the expected targets," Putu said. In addition, the government also needs to adjust to its impact on economic growth and sales of motor vehicles. "We are looking for the exact and exact formula that is all mapped back, and all are simulated," Putu said.